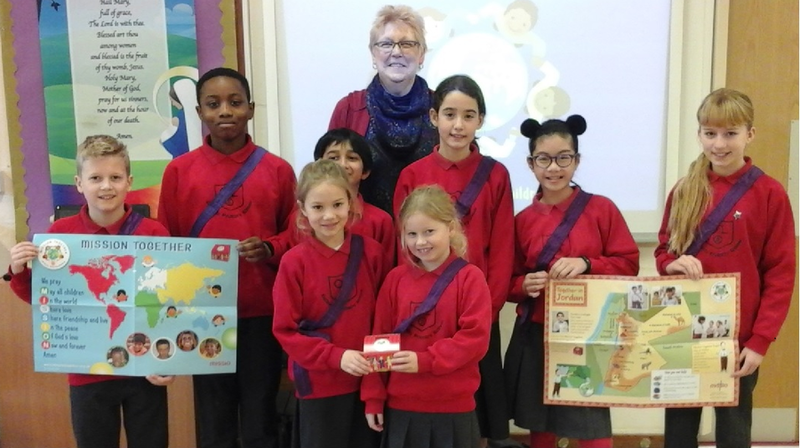 Our Chaplaincy team welcomed Mary Deardon from the charity Missio visited school on Tuesday February 12th 2019. Since 1922 Missio has been the Catholic Church's official charity for overseas missions bringing the hope of the Gospel where there is turmoil, poverty and uncertainty in the world and where the Church is new, young or poor. Missio empowers local people to form and sustain communities of faith. Missio trains and nurtures future leaders so the vital Church work can take place. The children have each got a red Missio Box and we hope families will use this and return it to school when they are ready.